The beautiful white sandy beaches of Boracay in the Philippines. Tropical islands are the most sought after holiday destinations in the world, whether it’s Aruba in the Caribbean or Boracay and Phuket in Southeast Asia. There are about 45,000 different tropical island destinations found across the world. Most of them are situated in regions such as Southeast Asia and the Caribbean while others are in more isolated places like the middle of the Atlantic, Indian and Pacific Oceans. These exotic places have an all year long summer climate, crystal clear waters, soft white sandy beaches and many are surrounded by spectacular coral reefs. Tourists visit these places to enjoy the beaches, to try out the local seafood cuisine and to participate in a variety of other activities. After all, this is what life in the tropics is all about. They also make the most unforgettable and romantic honeymoon destinations ever. Select any of the regional destinations below for more information or visit the list of islands page. Southeast Asia includes countries such as Vietnam, Thailand, Cambodia, the Philippines, Malaysia, Indonesia, Singapore and French Polynesia. This small collection of beautiful countries are home to thousands of tropical islands. As a matter of fact, there are so many in the region that the Philippines alone is made up of more than 7,000 different ones. Below I have listed 6 of the most incredible tropical paradises in the South East Asian area. Countries on the North American continent such as the United States, Mexico and the smaller nations of Central America holds a tiny amount of incredible archipelagos and cays. The breathtaking Florida Keys, Mexico’s Cozumel, Ambergris Caye in Belize and others are very popular places to visit amongst US tourists. Pick any of the incredible places below to learn more about that particular North American destination. The Caribbean has long been the most popular region when it comes to tropical vacations. It’s a place where it’s summer all year long and where the oceans are crystal clear and warm. Home to thousands of the most breathtaking archipelagos and cays, most of them surrounded by the most pristine coral reef systems on earth. The region literally attracts millions of tourists each year and once you have been here you will never want to leave. When most people think about South America, places such as the Amazon rainforest and cities like Buenos Aires, Santiago and Rio de Janeiro usually come to mind. However, this incredible and adventure filled continent has a number of picture perfect islets and archipelagos found just off it’s coasts which are every bit as adventure packed as the tourist attractions back on the mainland. Come and explore my 6 ultimate tropical islands in South America which I have listed below. Mention an Africa vacation and most people would probably think of wildlife reserves and safari’s. There is nothing wrong with those types of holidays but it can be a little too cliche. In my opinion, Africa’s greatest tourist attractions can be found offshore. The continent has some of the most incredible places such as the Seychelles, Zanzibar, the Comoros and many others. Have a look at these African dream getaway destinations. Europe is a great place for those interested in culture and history and is often not the first place that comes to mind when thinking of tropical islands. However, off the coast of Portugal and Spain are a small number of terrific archipelagos. These are usually the preferred winter island destinations for many people across the continent. The most popular European getaway destinations are as follows. Exotic destinations aren’t only limited to Southeast Asia, the Caribbean and the Americas. There are smaller archipelagos and islands found in the middle of the oceans. Many of these places are very isolated and cut off from the rest the world. They are therefore often harder to get to but the peacefulness and serenity they provide make the long journeys well worth the effort. 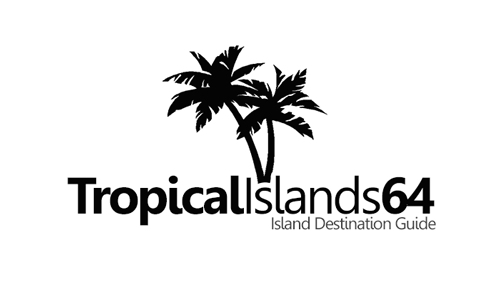 Islands.com: Visit one of the leading travel websites out there, where you can find information on all inclusive holiday getaways, accommodations, tour operators and a whole lot more. Private Islands Online: If you happen to have a couple of million dollars lying around and you always wanted to own your very own island, visit Private Islands Online where you can browse through hundreds of islands around the world that are for sale.